Unlike reading and math skills, though, they aren’t primarily developed through deliberate practice and explicit training. Instead, researchers have found, they are mostly shaped by children’s daily experience of their environment. And they have their roots in the first few years of life. When children spend their early years in communities and homes where life is unstable and chaotic — which is true of a disproportionate number of children growing up in poverty — the intense and chronic stress they often experience as a result can seriously disrupt, on a neurobiological level, their development of these important capacities. The excerpt also explores how non-academic professionl development for teachers can go a long way. Paul gets it. There’s a substantive area of non-cognitive skills that are instilled in a student by people and circumstances that are out of a teacher’s control, and often times, knowledge. But, with unique, innovative PD that takes the whole student into consideration, teachers can start to work with students to overcome counterproductive characteristics. To read the full excerpt from Helping Children Succeed, see this NYT link. 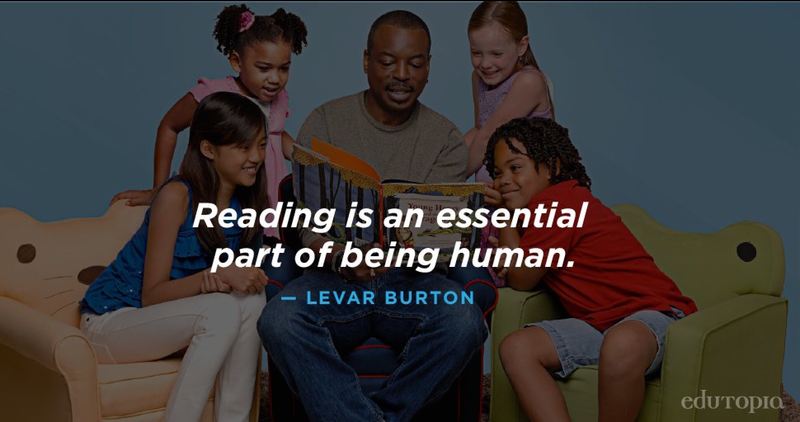 In his Edutopia blog post, the Reading Rainbow host talks about the importance of reading and how we can try to instill s love for reading in students. I love that he says “We have to show up where kids are hanging out, and bring them back to the written word.” I also appreicate that, right at the begining, he acknowledges visual mediums as a useful form of education, as not to say that they are less important than reading, but that reading should also be just as important. I can’t wait until my copy of Paul Tough’s recently published book, Helping Children Succeed comes in the mail. I wrote a brief review on his last book, How Children Succeed, which I loved for it’s ability to connect learning behavior and attitudes, both positive and negative, to nereoulogical processes. For now, I’ll just read his recent NYT article that features an adaption of one of the sections from Helping Children Succeed. I can’t agree with Ebony Bridewell-Mitchell TEDxHGSE‘s viewpoint any further. Schools are a far more complex social system than we tend to treat them, so the solution to fixing public schools is just as complex. Joel Klein, former NYC public schools chancellor and Cami Anderson, former superintendent of Newark public schools (and former Klein advisor) are great examples of administrators struggling to push for change in the mixy-mess that is education. While I disagree with some of Joel Klein’s initiatives, I believe he was effective in many of his controversial programs because he understood, to a certain degree, the inner workings of the overly bureaucratic NYC public school system. He understood some of the deep-seated behaviors and mentalities of some educational beauracrats who used their power to their benefit at the expense of providing students with a quality education. He also did a good job at vocalizing what was happening within schools, as a way to support some of the changes he wanted to implement. He pushed for school choice because local, district schools were failing. But despite this fact, communities wanted to hang out to these underperforming schools, which have their own complex history. Klein worked with the UFT to open smaller public and charter schools that would gift teachers and students with an easier load. This was an excellent move that showed his ability to mix the old with the new and deal with such a controversial issue in a more humanistic way. His time at the DOJ’s Antitrust Division served him well. Cami Anderson, former superintendent of Newark, NJ public schools, could have been more careful about making changes to similar issues. While she meant well, there were times where she chose not to involve parents with major policy changes and that affected how parents perceived and interacted with her. I think she is the perfect example of a education leader who struggled with working with the system and thought it easier to entirely dismiss the foundation that was laid before her arrival. Are They Really Paying Attention? How closely do people create, approve and implement curriculum pay attention to what the job and career force need from future employees? Do those who have say over curriculum strategically think about students’ career prospects? 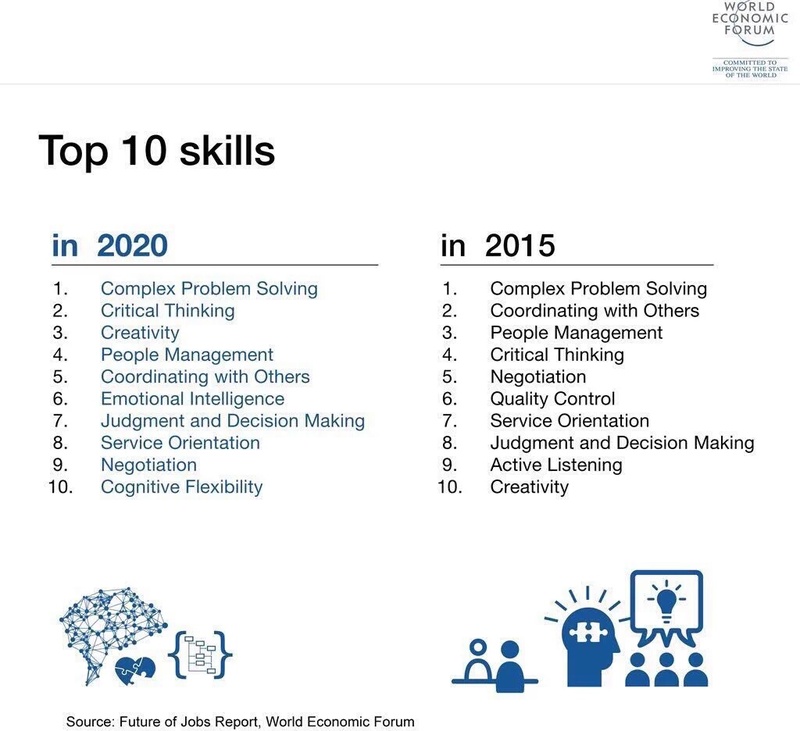 I’m curious to know how they react to the World Economic Forum‘s top list of skills needed to be successful in both today’s and the year 2020’s workforce. I’d also would love to know what skills they thought were important five years ago and how they, at least tried to bring those skills to the classrom, and if any of those skills prove to be useful.